Aphids are plant-loving, small-in-stature sap-sucking insects. They come in a variety of colors including green, white, brown, pink, or black – though the breeds you’re most likely to see are green in hue. They are wingless with soft, pear-shaped bodies and despite there being approximately 4,000 different species worldwide, none of them vary too much from a general size of 1/8 inch long. All aphids have two curved antennae at the tip of their heads as well as two cornicles (imagine them as a tube-like protrusion) coming out of their back ends. Not to you. Aphids aren’t going to bite you, or sting you, but what they can do is cause significant amounts of damage to the greenery in and around your home. They’re capable of producing large quantities of a exudate that develops into a sooty fungus that causes mold and will distort growth of nearby plant life. Why do I have aphids? Because you have plants – and aphids love eating plants. Small aphid problems can become big fairly quickly due to their quick reproductive cycles, so prevention is important. Keep them out in the first place by making sure your home’s screens, weather stripping, and entrance caulking is all in good shape. Additionally, pay special attention to all your houseplants – give them regular inspections and never bring any plants inside from outside before checking for aphid colonies first. 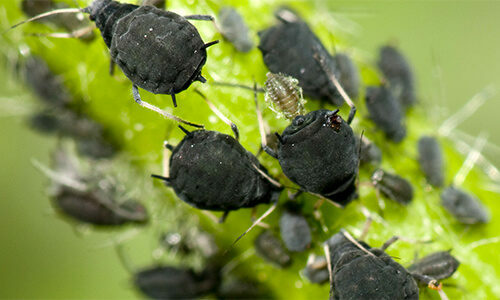 How can Gregory Pest remove aphids from my home or business? 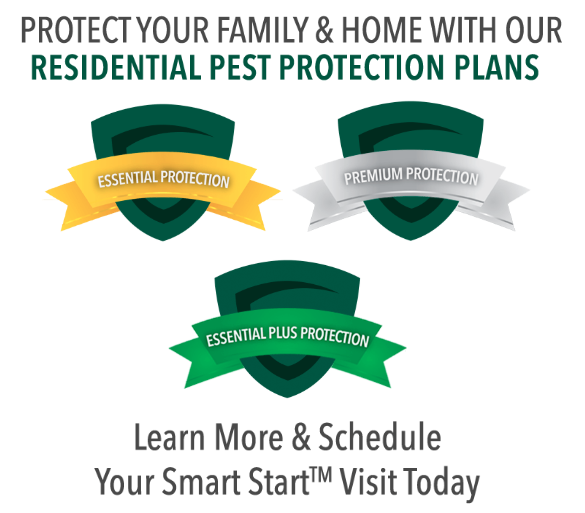 An expert exterminator from Gregory Pest Solutions will be your full-service pest solutions provider specializing in the effective, humane removal and prevention of aphids and their nests from your home or business. When you hire us to evaluate how extensive your home’s pest problem is, one of our pros will be sent to assess the aphid situation and then formulate an environmentally friendly plan for removal and prevention. Once we implement our plan, our experts will clean the area and seal any openings that are prime for future nests so you and your family can enjoy a lasting insect-free environment.